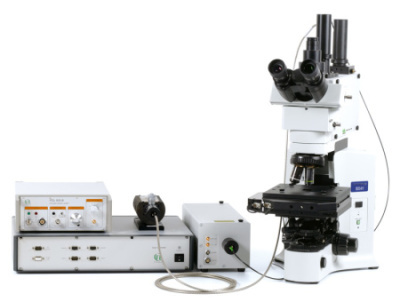 Compact FLIM and FCS Upgrade Kit for LSMs PicoQuant Laser Scanning Microscopes LSM Upgrade Kit Confocal Laser Scanning Microscopes (LSMs) are widely used tools in biochemistry, cell biology, and other related life sciences. 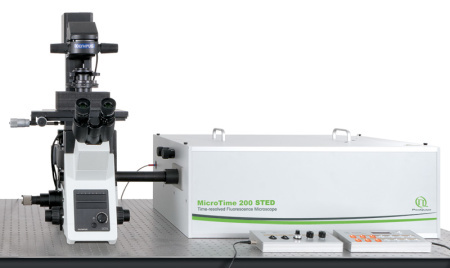 Upright Time-resolved Fluorescence Microscope PicoQuant Upright Time-resovled Fluorescence Microscope – MicroTime 100 The MicroTime 100 is an idea tool for the study of time-resolved photoluminescence of solid samples such as wafers, semiconductors or solar cells. 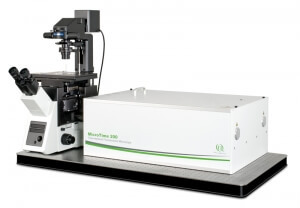 The system is based on a conventional upright microscope body that permits easy access to a wide range of sample shapes and sizes. The MicroTime 100 can be supplied with either manual scanning or with a 2D piezo scanner with either µm or cm resolution. 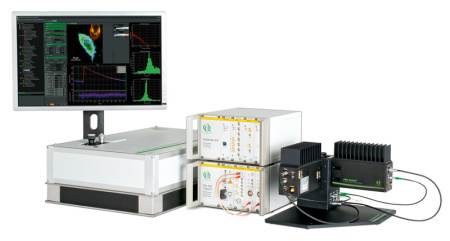 PicoQuant offers different solutions for time-resolved confocal microscopy.